More than once, I have been found guilty of undertaking non essential DIY projects. It happens people. I see a tiny glimmer of light at the end of the DIY tunnel and I start to feel creative. I get excited, and start imagining what will go where. Almost ready to paint, but I suddenly find myself spending essential DIY hours making a macrame garland, whilst watching ‘Hospital’ on BBC Two (a favourite of mine). 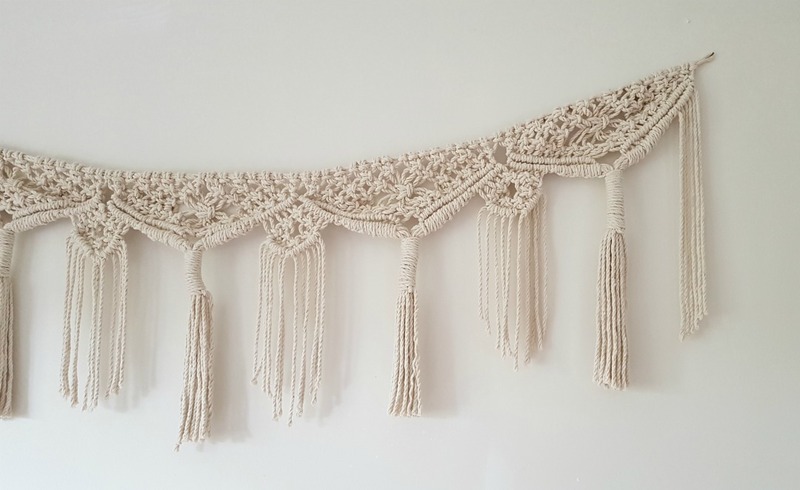 Macramé is such a relaxing craft. It is the perfect project to leave out and work on whenever you get the chance, and the results are very rewarding. It’s inexpensive, and imperfections are easy to rectify (always appealing). I bought the cord about two months ago for this project, and eventually got around to starting it a few weeks ago. I started it on a Sunday evening, and finished it by the following Thursday evening. 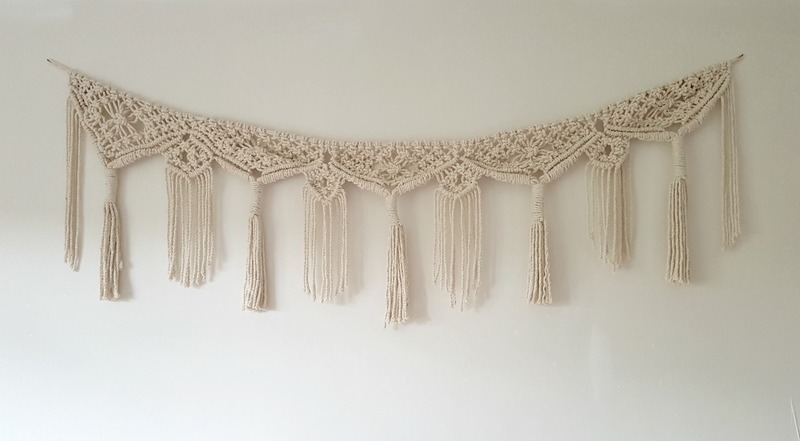 The garland I made is from a fantastic book called macramé by Fanny Zedenius. 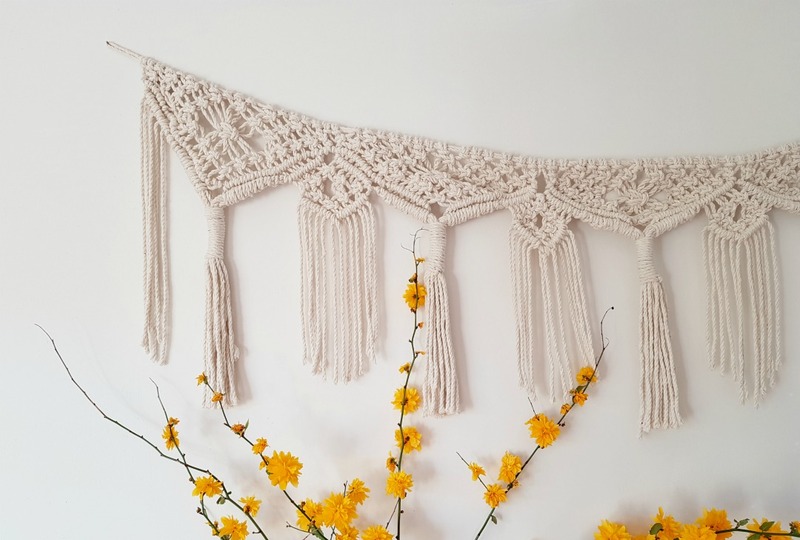 Fanny is a very talented Swedish creative who found a love for macramé, along with many other crafts. 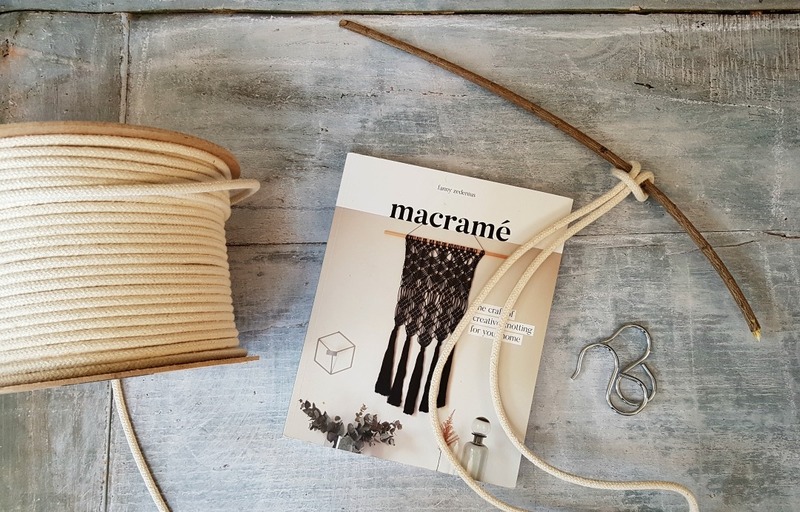 I read a lot of reviews before deciding which macramé book to buy, and I have been very pleased with my choice. Her book includes diagrams of all the knots (bizarrely not all books do), details of how much cord and what thickness is needed…along with step by step instructions. It has a range of projects in from beginner to more advanced. This project was actually harder than I expected, but I got there in the end, and I’m really happy with the result. I love that it is not quite perfect, and looks homemade. It is going to take pride of place in our bedroom, and it’s motivated me to get our bedroom finished! Gosh, it’s beautiful! You’re so clever. And finding the time to do it with everything you have going on at the moment is amazing too, well done for taking some time for yourself, it’s something I really struggle with.